Last month it was announced that Chris Hemsworth was going to star in a forthcoming Men in Black spinoff. 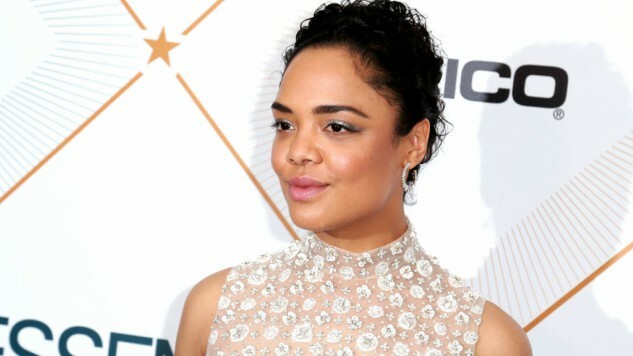 Thor: Ragnarok costar Tessa Thompson is now officially joining Hemsworth, according to THRFate of the Furious director F. Gary Gray will direct the feature, which evidently is slated for a June 14, 2019 release date. Sony’s reboot will feature totally new characters much like the Jurassic Park reboot did with Jurassic World. No more Agent K and Agent J, but the film will build off the bones of the science fiction world already established in the original trilogy. Plot details are being kept under wraps, but we do know that the film will be much more grander in scale. Instead of focusing on two main characters, the film will reportedly be more of an ensemble piece and have a global scope. Steven Spielberg is returning as executive producer, and Walter F. Parkes and Laurie MacDonald are also back as producers. Thompson recently starred in the intelligent science fiction film Paste named the best film in theaters right now, Annihilation, opposite Natalie Portman. She will be seen in this coming season of Westworld, which premieres on April 22. She’s also set to star in Annapurna’s summer release Sorry to Bother You opposite Armie Hammer and the modern western Little Woods with Lily James, set to premiere at Tribeca this April. Currently, Thompson is filming Creed II with Michael B. Jordan.